A very fine corporate conference suite in the repurposed building of the Greater London Council certainly gave an appropriate environment for discussing the effects and fortunes of neoliberalism, challenges of governing for a state hollowed out of governing capacity, and more, being comfortable while affording plenty of irony. Research and its engagement with policy was a key theme. 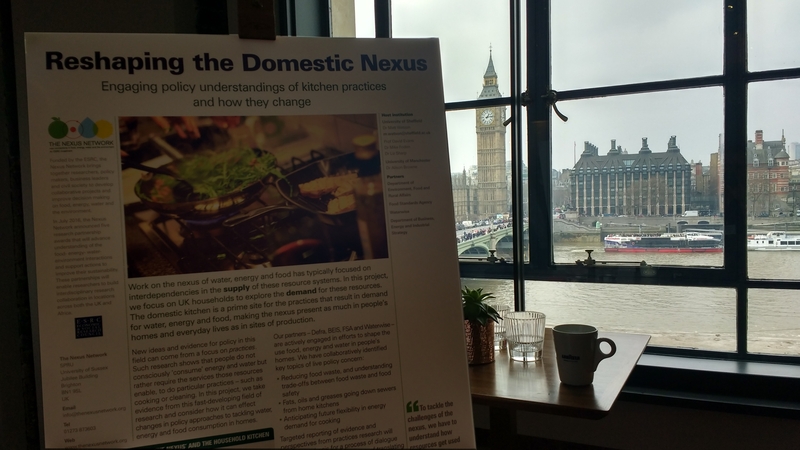 Given this project’s contribution, it was great to hear from Ian Boyd, Chief Scientific Adviser in Defra, that he sees understandings of how to reduce demand for resources right down to household level, as a key field for evidence and research-policy engagement.